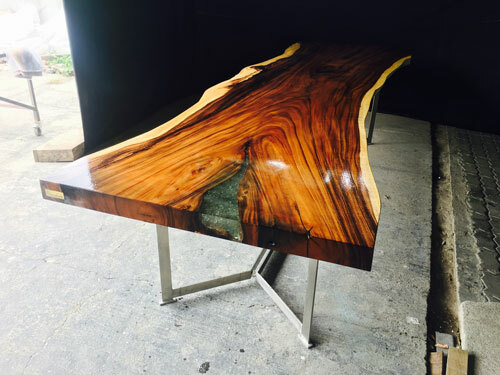 This spectacular 3.69-meter dining table is immaculately handcrafted from a single slab of reclaimed acacia timber. 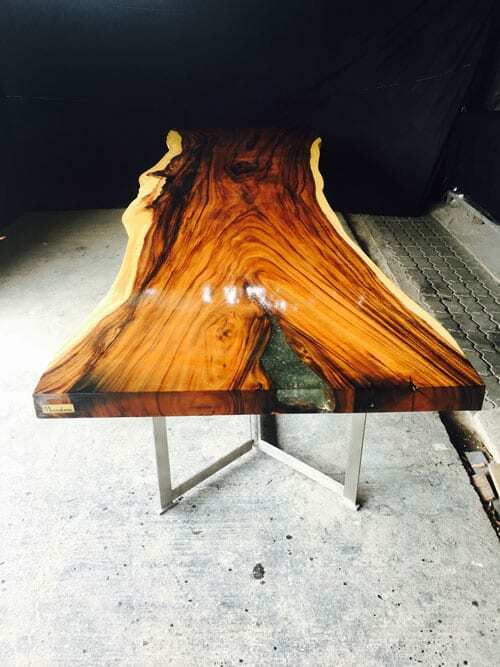 The slab has been kiln-dried, laboriously sanded using the full range of grit papers and reinforced with solid iron to maintain structural integrity. 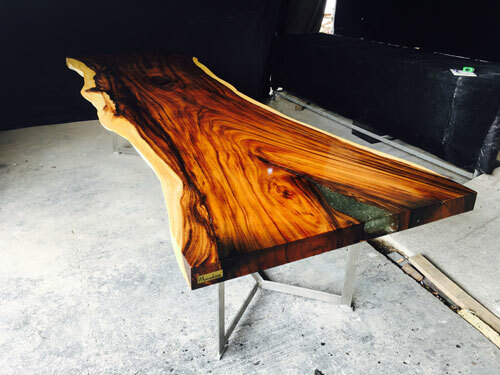 Natural occurring blemishes in the slab have been filled with our unique smashed crystal glass fill and coated over using a high-quality liquid glass finish in a process that takes 25 days or 200 man hours. The legs are brushed stainless steel that once assembled, locks into position with the slab ensuring the top will remain perfect for generations. Highlights of this long slab are its soft white freeform sides, its natural straightness, and luscious contrasting grains. The grains swirl up and down the length of the table. 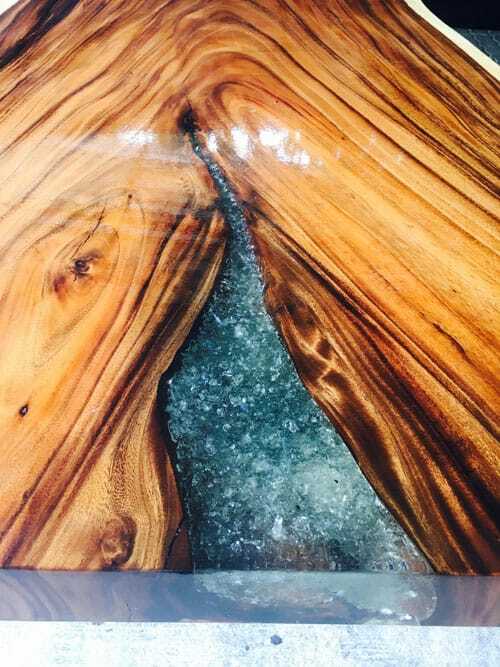 We have used smashed crystal glass on the small fills on this top to contrast and stand out against the black grains. Under lighting, this gives a stunning effect.